The new year is finally here and with it will come new challenges for marketers to find different ways to ensure their campaigns stand out. And while it’s always good practice to continue searching for new mediums and marketing strategies, it’s also important to tighten up on the strategies that have consistently worked throughout the past year. Direct mail is one of the tried-and-true marketing mediums that continues to flourish, despite the influx of new marketing tactics and technology. Its ability to narrowly target consumers and for marketers to accurately gauge the effectiveness of their campaigns are just two of the reasons direct mail has remained popular among businesses. Adjust Copy to Your Segments: Your list is the most important factor of your campaign. Know that you must create copy that is segment-specific based on research your team has conducted and concluded to incite the best results. Also realize that past and current consumers need to be treated differently than potential ones. Timing is Everything: Knowing when to initiate your direct mail campaign is crucial to achieving success. Timing is often a prime determining factor to the success of your campaign. Call to Action: Direct mail is all about a call to action, and a strong one. What are you offering and how does it speak to your consumer? This must be clear when sending any direct mail piece. Test as Much as Possible: This is why multi-platform campaigns are preferred. Testing can happen through digital mediums so results can be seen more quickly, then adjustments can be made to the direct mail campaign based on the conclusions of the digital testing. Cheaper is Not Always Better: Yes, saving money should always be a priority, but marketers need to look at direct mail as more of an investment than a purchase. It’s a practice that needs to be done consistently throughout the year, constantly testing different variables and finding ways to incite consumers to action. The experts at Macromark have been schooled in all of our direct mail campaigns and will make sure our clients understand the steps necessary to ensure successful results. We go over each step and analyze where we can make changes to suit each specific campaign. And with us being able to provide a broad range of lists which can focus campaigns in any direction, we are confident in our ability to help companies reach their marketing targets. 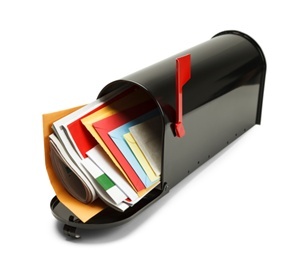 Johnson, G., “Top 5 Tips: Direct Mail Checklist for 2015,” ChiefMarketer.com, December 16, 2014; http://www.chiefmarketer.com/top-5-tips-direct-mail-checklist-2015/.